The Porcelain Cradle follows Leto, a neurotic spinster with a depraved lust for love who dreams of having the perfect nuclear family, she is unable to control her compulsions and spirals into a state of delirium. Our story hopes to examine (and maybe even challenge) how blackness and internal conflict, particularly with women, is dealt with in the horror genre. Set in a timeless period with reference to the 1970’s and a soundscape inspired by the film of Lars von Trier we hope to transport you into a place where every door is an illusion, every window is a lie. This is an ambitious project which we cannot make possible without your generosity. To give justice to our amazing script, we want to provide our audience with a unique, surreal visual experience. We have a vision for the world in which Leto lives, alone in a perfect suburbia. We have already secured a fantastic house in the centre of York but our production designer Amy has her eye on some fantastic set pieces and props which will really make our story come to life. For our team this story means a lot and is a project where we can all showcase our unique skills in areas we are passionate in pursuing for future careers. Although we have the skills and determination to make this concept a reality, there’s a couple of extra things we are going to need, which can only happen with your support. Whether it be to get the best actors or help in buying a fantastic vintage costume - we are grateful for any amount you can give. Even if you can’t donate to our project, word of mouth is incredibly important so please like and share our posts, photos and videos. As a thank you for donating £5 you will receive a public message of thanks on our social media pages! Thank you so much for your donation! For donating £10 you will receive a public message of thanks on our social media pages, and a high quality, physical copy of our amazing poster! Thank you so much for your generous donation! 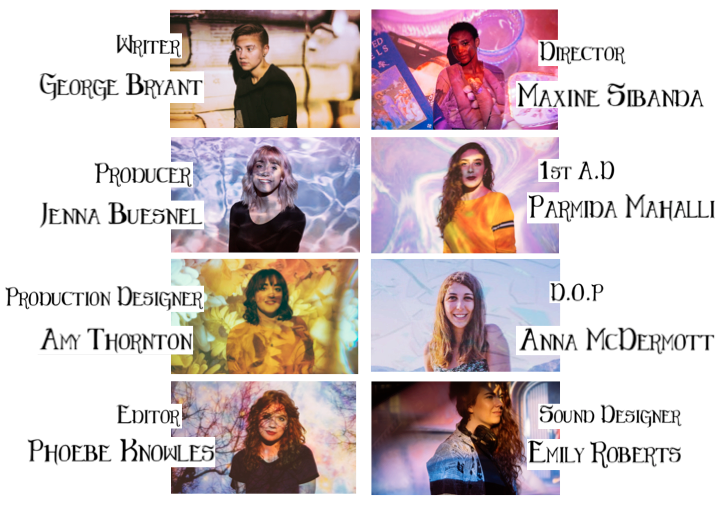 For donating £25 you will receive a digital copy of our film's unique soundtrack and poster alongside all the previous rewards! Thank you so much for your generous donation! For your donation of £50 you will receive a physical DVD copy of our film with a bonus blooper reel, alongside all the previous rewards. Thank you so much for your generous donation of £80! In addition to all the above rewards, you will also receive a 'special thanks to' credit in the final film! Thank you SO much for your incredible generosity! For £100 you will receive all the previous rewards and, as a special thank you, we will hide your name somewhere in the final film! Thank you so much for your incredible donation! For £200 we will send you one of the unique, vintage props used in the film, in addition to all the previous rewards!! A massive thank you from all of the crew for donating £500 to our film! For this incredible donation, you will receive all the previous rewards alongside, a personalised thank you video from the crew and an exclusive directors cut of the final film!